According to OSHA’s 2016 list of Top 10 Most Frequently Cited Standards, a large number of accidents take place due to the failure to maintain safety standards for machine guarding. 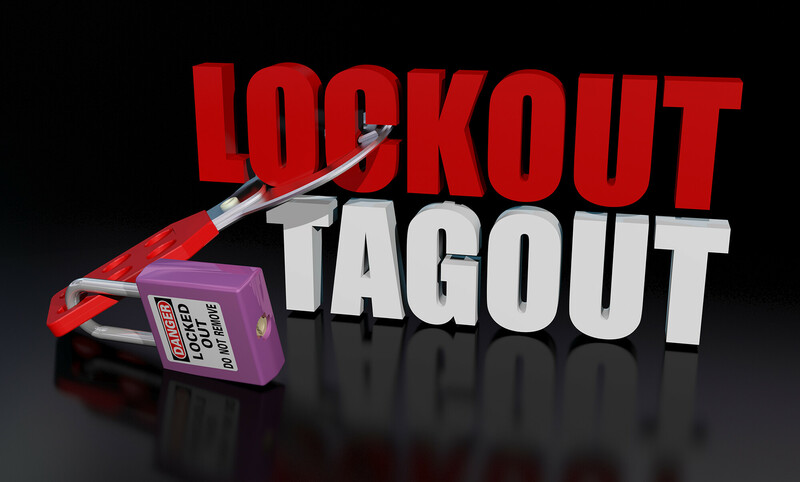 In most OSHA investigations pertaining to safety violation, the failure to lockout/tagout (LO/TO) was found to be the largest source of accidents in manufacturing industries. It is essential to understand the importance of enforcing machine guarding and LO/TO practices in your manufacturing company to ensure that your workers are safe, and avoid fines from OSHA for violation of mandatory standards. In a manufacturing industry, many forms of potentially dangerous energy are moving about in different types of machines and equipment, such as mechanical, hydraulic, pneumatic, chemical, thermal, electrical, and gravitational. These energies must be blocked, locked out, or released in a safe way to ensure that the equipment or machinery does not start moving by itself during installation, maintenance, or servicing. LO/TO refers to a set of predefined practices and procedures to protect workers from equipment or machinery turning on unexpectedly and realizing the presence of hazardous energy. In addition, moving parts in machinery can cause severe injuries, such as burns, amputations, electric shocks, blindness, or crushed hands or fingers. The implementation of machine guarding measures is essential to protect workers and ensure they do not encounter any hazards. A manufacturing facility has many types of machinery and equipment with a lot of moving parts fueled by different forms of energy. When there are uncontrolled or unsupervised hazardous energy sources involved, workers are at a higher risk of sustaining serious injuries and fatalities. In order to prevent such incidents, it is essential to have a LO/TO and machine guarding program in place to ensure all dangerous energies are locked out until the work is complete. Doing so will not only ensure the wellbeing of your workers, but also increase your company’s efficiency and production, among other things. As an employer, it is best that you should familiarize yourself with standards and regulations pertaining to machine guarding and LO/TO. Conduct a thorough inspection of your machinery to evaluate the moving parts that can be labelled as danger zones for operators during installation, servicing, or maintenance. You may also check the manufacturer’s information to learn about appropriate measures for machine guarding. Moreover, ensure your workers do not remove pre-installed guards. As an employer, taking necessary measures for making workplace safer for your employees should be one of your top priorities. For guidance about machine guarding and LO/TO programs so that you can implement such practices in your manufacturing company, you may contact Suburban Insurance Agencies, Inc. today at (630) 325-4000 to schedule an appointment.